Latinas CAN survive breast cancer. Back in 2004, we had 26 Latina breast cancer survivors tell their unique stories of resiliency, hope and survival for Nuestras Historias: Mujeres Hispanas Sobreviviendo el Cáncer del Seno (Our Stories: Hispanic Women Surviving Breast Cancer). In 2014, we updated the stories and photos of many of the survivors, including new video interviews, as these brave Latinas continue to share their courageous stories, inspiring stories of the importance of cancer screening and that Latinas can not only survive cancer, but thrive in the workplace, school, home, and family. The Clinical Trials Outreach for Latinos (CTOL) Program Replication Manual offers tips, downloadable templates and resources, and other help to incorporate these activities in a health organization. The guide can help an agency learn and accommodate the need for Latino-focused outreach to increase clinical trial accrual and donation of biospecimens. Patient navigators can help “navigate” underserved Latinos through the often-complex healthcare system and remove barriers to timely, quality care. Our bilingual manual, A Patient Navigation Manual for Latino Audiences: The Redes En Acción Experience, can guide health organizations to develop navigation services for Latinos. The manual explains six steps to decide if navigation is right for an organization and offers important considerations and downloadable templates for implementing a patient navigation program. Redes En Acción has released three videos on cancer issues and research methods used to train Redes patient navigators who are testing how LIVESTRONG cancer navigation services can improve the quality of life of Latino breast, colorectal and prostate cancer survivors. Redes En Acción created a bilingual magazine series, called Buena Vida, to educate medically underserved Hispanics about cancer issues and raise awareness about prevention and control activities to reduce their burden of cancer. Who is making a difference against cancer? 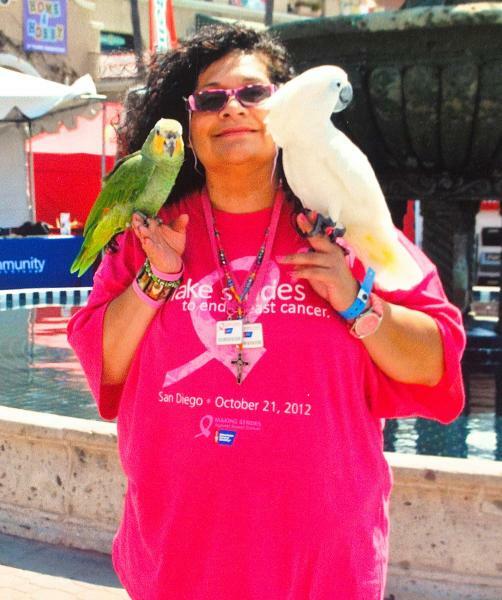 Check out the stories of individuals who are contributing to the fight against Latino cancer, increasing awareness of the disease, and/or improving the quality of life of survivors across the nation. Redes En Acción developed six bilingual TV public service announcements (PSAs) touting the benefits of preventative screening for breast, cervical and colorectal cancers among Latinos. The PSAs aim to spur Latino families, community leaders and healthcare professionals to conduct screening to save lives. Redes En Acción developed four bilingual TV public service announcements (PSAs) to raise awareness of the need for greater participation by Latinos in cancer research studies. Latinos are underrepresented in federal cancer research studies and, without research, there is no cure. This campaign also featured radio and print spots. Redes En Acción developed a national Latino cancer research, training, and outreach agenda. This agenda is based on contributions from a broad array of more than 600 leading Latino scientists, health care providers, and governmental and community groups. The agenda provides recommendations for public and private policymakers and groups to address Latino cancer. The Redes Report, a 6-page E-newsletter distributed by the program from 2000-2010, offers news and information about Redes progress, Latino cancer issues and “role models” engaged in research and professional and public education related to those Latino cancer issues. The annual meeting of the Redes En Acción National Steering Committee (NSC) unites experts from around the country on Latino health and cancer issues. The meetings, which aim to set program policy, provide guidance and review network-sponsored activities, are summarized in annual reports. Redes En Acción continues to make great strides in its research, training and public education activities targeting cancer health disparities among Latinos. The program issued impact statements in Year 3 and Year 4 highlighting some of its progress in those areas. The A Su Salud En Acción Training Manual is designed to help community organizers and program planners replicate a community-based health communication campaign to increase cancer awareness and preventive health behaviors in diverse populations. It describes the skills and procedures needed to implement a campaign based on the experience of Programa A Su Salud (1984-1994) and the National Hispanic Leadership Initiative on Cancer: En Acción (1992-1999). Qué Onda (Sound Bites), part of the Sin Fumar tobacco research project, aimed to educate youths and the community about tobacco prevention. Newsletters featured real kid role models telling their stories to stimulate imitation by addressing factors theoretically related to change. Middle- and high-school Latino students distributed the materials to provide social reinforcement for role-model imitation. Redes En Acción: The National Latino Cancer Research Network is a National Cancer Institute-funded initiative to combat cancer among Latinos. 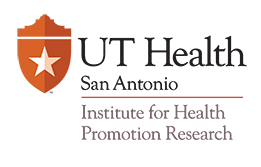 The network is a project of the Institute for Health Promotion Research (IHPR) at UT Health San Antonio. Check out our bilingual book that features the real stories of 26 South Texas breast cancer survivors who describe their unique cancer journeys. Exito! program and interships encourage doctoral degrees and Latino cancer research.